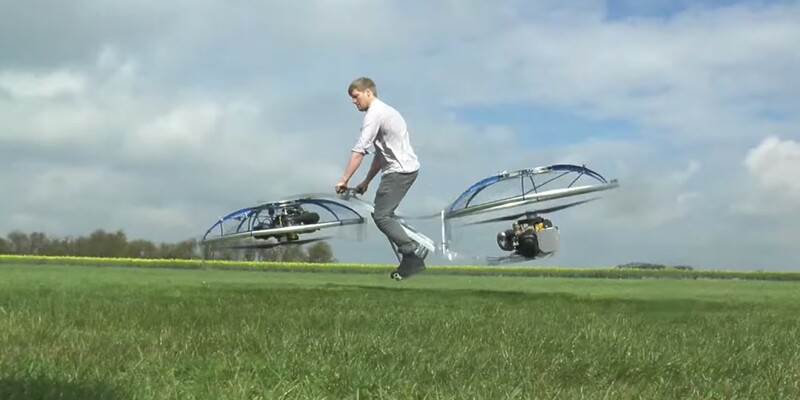 Backyard inventor and Youtube personality, Colin Furze, is famous for creating dangerous contraptions like a thermite canon, a spring-loaded bed, and the world’s fastest mobility scooter. Despite an apparent death wish, the Brit’s body is still intact and he regularly posts videos of his workshop exploits online. 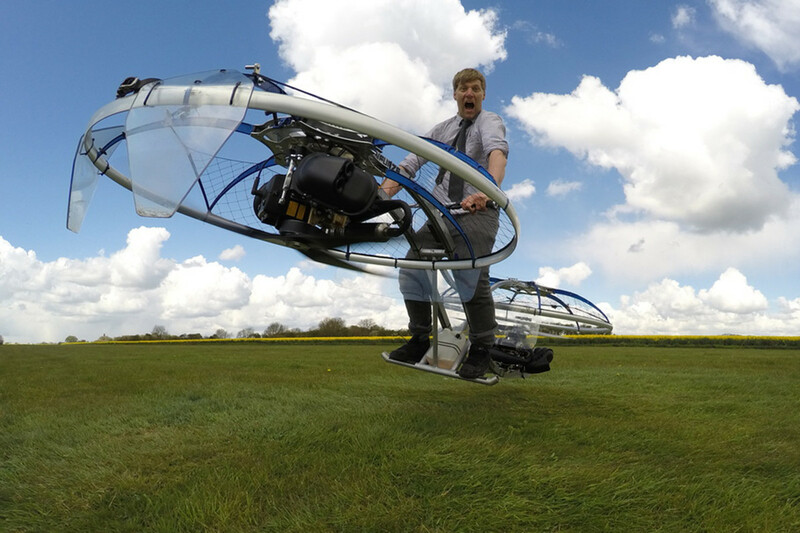 This week Furze revealed his latest invention and the one that’s most likely to make him lose a leg – a homemade HoverBike. Furze’s HoverBike design is either an incredibly crude contraption or a marvel of minimalism, depending on how you look at it. 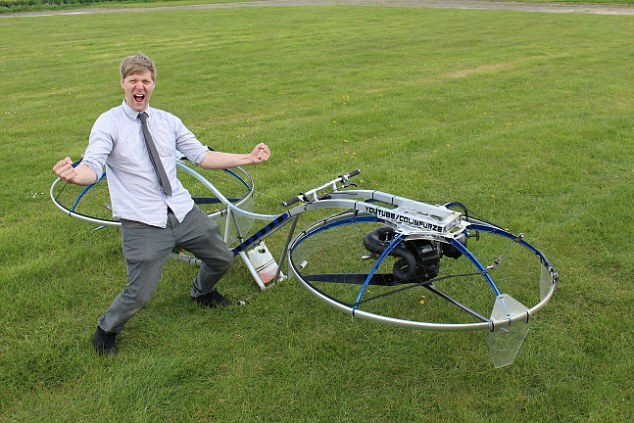 A simple metal frame encases two motors and propellers. There’s no seat, no steering, and no built-in way to brake other than leaping from the machine like Mum just called for dinner. The HoverBike is controlled like an aerial Segway – by titling his weight forward, backward, and side-to-side, a rider can manipulate the machine in this and that direction. The movements aren’t always smooth. In fact, Furze crashes quite a bit. But, after some practice, he seems to get a hang of it and walks away with his limbs intact. “It has no steering, it has no brakes, it’s got two accelerators and not even a seat,” says Furze with his typical enthusiasm bordering on craziness.